It’s time to celebrate a versatile food, found around the globe and eaten in a variety of ways for centuries, the egg. Eggs are well-liked in the US, and if you count all the eggs eaten for breakfast and used in cakes and other cooked foods, we eat about 250 eggs per person per year! Why are eggs so popular? Well, for starters they help give foods a richer flavor, color and texture. Eggs are high in complete protein and easy to digest. 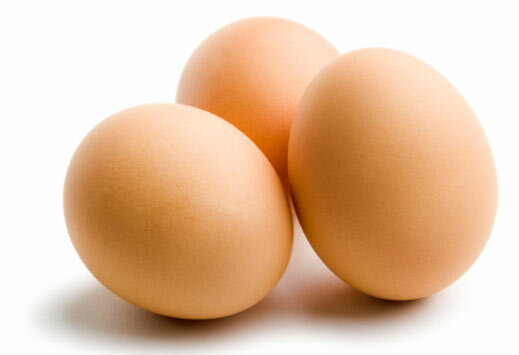 All of the protein in eggs can be found in the egg white, or “albumen”. The albumin also contains B vitamins, which play a role in energy metabolism. Egg yolk contains the fat soluble vitamins A and D, fat, and most of the minerals, such as iron, calcium, phosphorus and potassium. The yolk is also rich in choline, an important nutrient for development of the brain. Lutein, a yellowish phytonutrient previously discussed on these blogs, is also found in egg yolk, and has the ability to protect the eye from damaging ultraviolet light. Corn and other yellow vegetables contain lutein, but the form of lutein found in egg yolk is much more bioavailable, meaning it is easily absorbed and used by the body. While chicken eggs are most popular in the US, duck, goose, ostrich, emu and quail eggs can also be found mainly in specialty shops, restaurant menus, or local farms. Have you ever eaten a quail or ostrich egg? Big egg: An ostrich or emu egg, is twenty times as large as a chicken egg. The ivory-colored shell is very thick and hard to crack open. A single emu egg is equal to about 10 -15 hen’s eggs. Quail eggs are pretty small (five quail eggs equal to one large chicken egg) with speckled spots on the shell. The egg yolk color depends on the bird’s diet and can range from pale yellow to dark orange. Free-range eggs are produced by hens that go outdoors daily where they can peck for worms, grubs and insects, and exercise their legs and wings. Can’t remember if an egg is fresh or hard boiled? Just spin the egg. If it wobbles, it’s raw. If it spins easily, it’s hard boiled. A fresh egg will sink in water, a stale one will float.